Going out with friends is one of the most fun and memorable parts of college life, but unfortunately it can also be quite dangerous. When alcohol or other substances are involved – or when you’re in an unfamiliar place – the danger increases many times over. An intoxicated person can easily get separated from their group and wind up alone or at the hands of someone who means to take advantage of their altered state. Vive was created by a group of students at the University of Washington in collaboration with SARVA (Sexual Assault and Relationship Violence Activists). 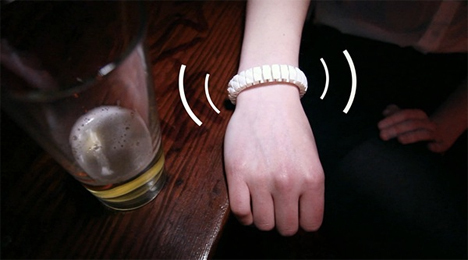 The sensor-rich wristband was designed to keep young people safe in alcohol-fueled environments without hindering their ability to have fun. 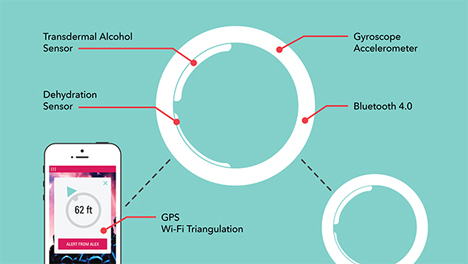 The Vive concept contains a transdermal alcohol sensor and a dehydration monitor to keep track of the wearer’s intoxication level and detect when he or she is getting dangerously dehydrated. An accelerometer and gyrometer can sense danger-indicating motions such as falling down or passing out. But the wearer doesn’t have to be aware of their own situation in order to summon help. The Vive connects to the wearer’s smartphone via Bluetooth, and from there connects to the user’s personal social network. 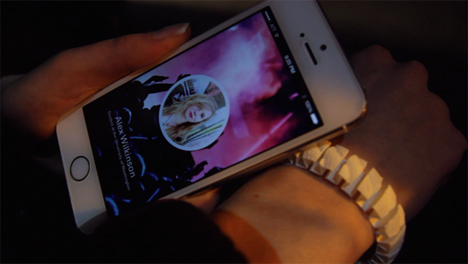 The connection is made by tapping the wristband to the user’s phone, which brings up that person’s Facebook profile. 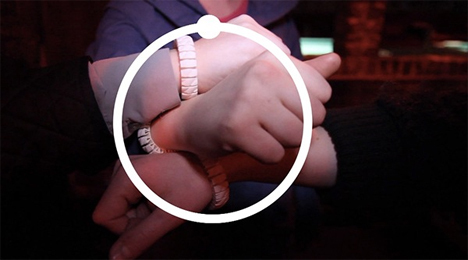 Then the user and everyone else in his or her group sync their wristbands by tapping them together. This sets these people as a safety group – people who will be notified of one another’s well-being throughout the evening. Every once in a while, each person’s Vive gives a little wiggle, reminding them to check in with the group and ensure their companions of their safety. If someone fails to answer the check-in request, the rest of the group is notified and can then go looking for the missing member of the party. Likewise, if anyone gets too drunk, too dehydrated or too horizontal, the rest of the group gets notifications. Throughout the evening, every wearer can tap wristbands with interesting new people to add them as Facebook friends later. 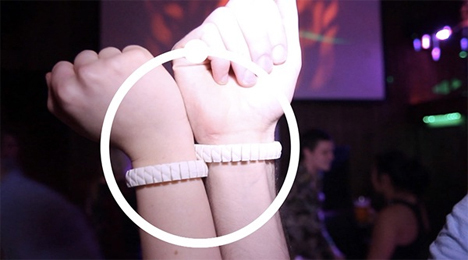 This adds to the social aspect of the wristband, making it appear less about safety and more about having fun. The designers have yet to present a prototype, but they have brilliant plans for how the Vive can be used to increase safety while not hindering the fun, as they detail in the video above.